Episodic memories are those that form feeling toward a particular time or place. Personally I find these memories awaken when the seasons begin to shift from spring to summer, and a plethora of imagery comes bounding into view, leading to a babble of memories of idyllic nostalgia; the smell of Nivea suncream, the sound of the sea lapping methodically on the shore, slithers of blinding sunlight creeping through thick pine in the Troodos mountains - you get the picture. Ultimately these lucid dreams of summer result in me spending hours Google searching 'best beach holidays in Europe 20-whatever it is' and vowing to steer clear of ice cream in preparation for the big reveal come beach day. And so is life, 6 weeks prior to my departure for 10 days of unadulterated bliss, sea, sun, mountains, food and family I begin this torturous countdown that involves many a salad, and not so many an ice cream. My better self tells me it will be worth it, my lazy, sugar-loving self hisses at the former with pure hatred. I proceed with varying levels of sadness, denial and hesitation, but occasionally I find moments of victory is salads like this. 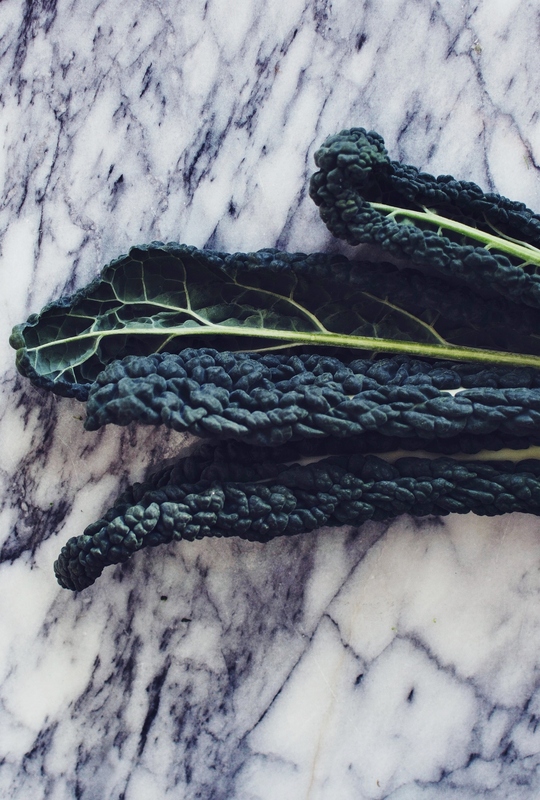 Largely raw, eye pleasingly colourful and packed with protein, fiber, zinc, vitamins A & C, antioxidants and more wonderfully restorative and essential nutrients, this was quickly added to my arsenal of 'eat clean' recipes. Using Madras curry powder in the dressing adds a unique smoky undertone, while the lemon juice keeps it fresh and zingy. If I wasn't avoiding dairy I'd have added a dollop of plain Greek-style yoghurt, or a few crumbly bites of feta. Oh, to dream (about everything I will inhale once I'm actually on holiday). Using a julienne peeler, slice the carrot into thin strips. If you don't have one of those peelers you can use a mandoline to slice the carrot into ribbons, and then cut the strips by hand. You can also use the mandoline to slice the radishes. Remove the spears from the asparagus stalks and set aside. Use a vegetable peeler to create shavings from the stalks. 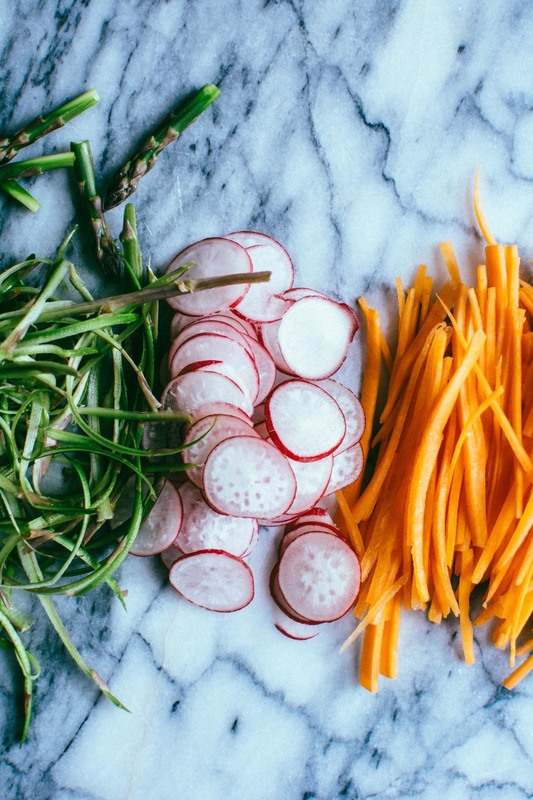 Place the chickpeas, carrots, asparagus shavings and radishes in a bowl and set aside whilst you make the dressing. Combine the olive oil, curry powder, cinnamon, lemon juice and a good amount of seasoning, whisking well to combine. Pour the dressing over the vegetables and toss well until evenly distributed. Blanche the asparagus tips in boiling water - submerge them for a couple of minutes before rinsing under cold water. Serve the dressed salad on a bed of leafy greens and scatter over the capers and asparagus tips before adding a final drizzle of olive oil. Blood oranges – the true elites of the citrus family. Gracing us with their presence for a month or so before disappearing for another year, they are by far my favourite citrus fruit, and not just for their pretty colours. Now that they’re in season I'm buying them whenever I can and using them in just about anything. But this salad is, with its few ingredients and minimal effort, one of the best ways to enjoy them. 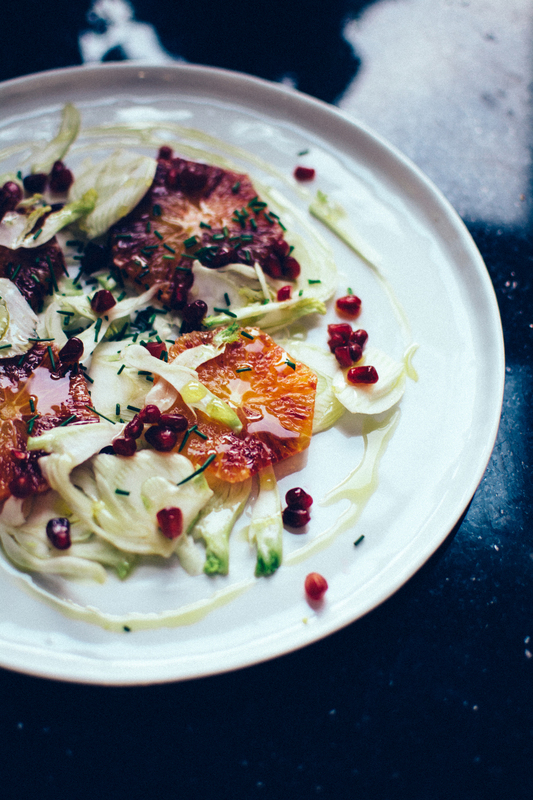 The natural sweet tartness from the blood orange, and the slight bitterness from the fennel results in this salad sort of dressing itself. Add a splash of olive oil and you’ll find that all the flavours come together yet manage to still stand out on their own – it is magical. 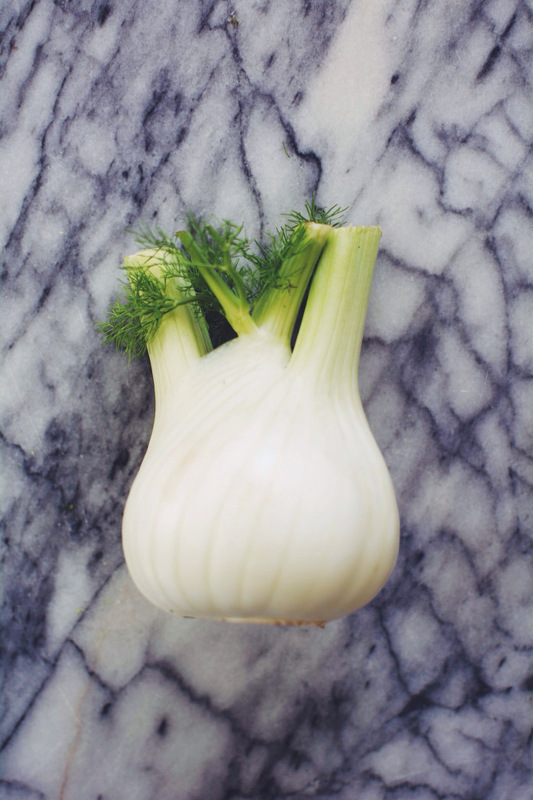 Using a mandolin, slice the fennel into a bowl. Remove the peel from the blood oranges and then cut into slices. 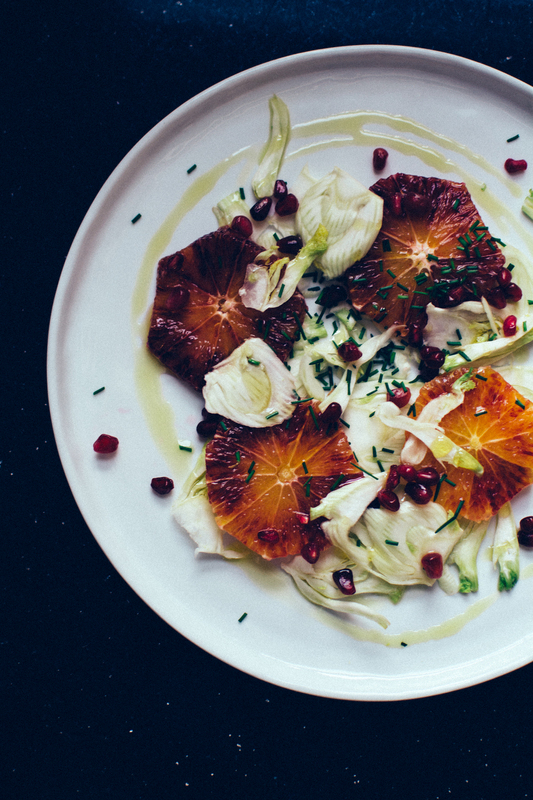 Arrange both the fennel and blood orange discs on a plate, drizzle over olive oil, add a sprinkle of pom seeds and your chopped chives. Simple! It started out of sheer laziness, adding raw vegetables to salads instead of bothering to cook them. With a single swipe along my mandolin I had slithers of cauliflower, fennel or broccoli that would have otherwise been cooked first had this new option not been so convenient. With the right kind of dressing I found that I could make a sort of vegetable ceviche, the edge taken off that typically unappetising ‘rawness’, the flavour mellowing through marinating in my lunch box on my desk at work. I’ve been testing various slaw recipes periodically, sometimes opting for an Asian combination of flavours, other times a luxuriously creamy American style, but this really is the recipe that I keep coming back to. 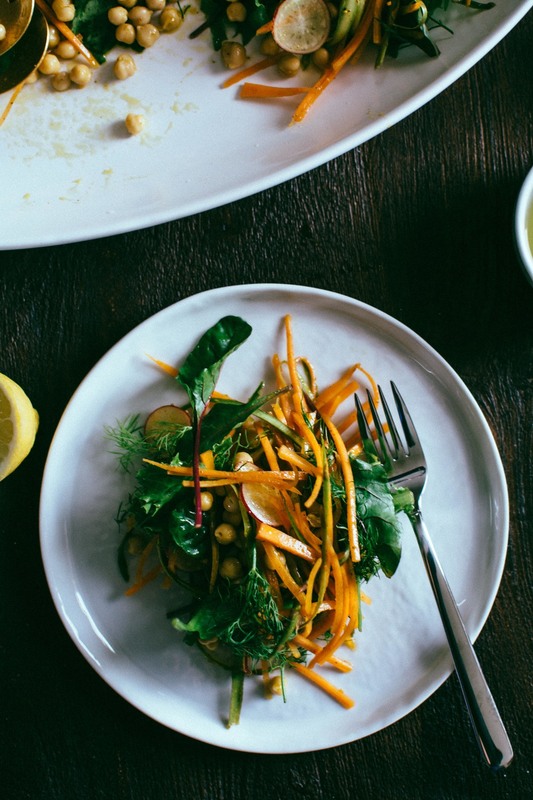 The dressing here unlike in other slaw recipes is certainly not the show-stealer, but its subtle nutty flavour thanks to tahini is a welcome note on the palate. Throw this together quickly and leave for a while for the flavours to really gel. I eat this for lunch on its own, or with half an avocado for good measure. Adding a slice of rye bread into the equation is always a welcome addition, too. If you’ve been reading my posts for a while you would have heard me discuss a new found love of plant-based eating, and although I cannot confirm that I have been exercising this new diet religiously and without steak/eggs, I can confirm that for the most part I am still enjoying creating dairy-free/meat-free dishes – on occasion. 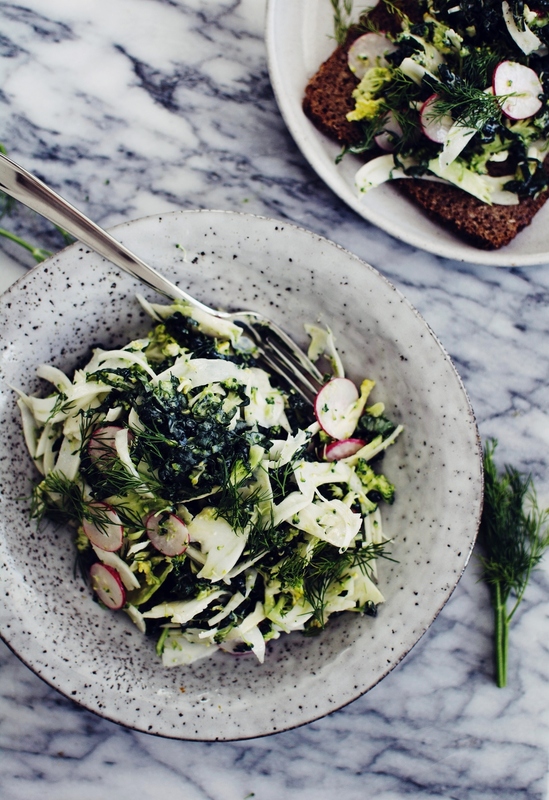 This slaw just so happens to work extremely well with either a dairy alternative to yoghurt, or the real deal. So, do with it what you will. Using a mandolin if you have one will make putting this salad together a total breeze. 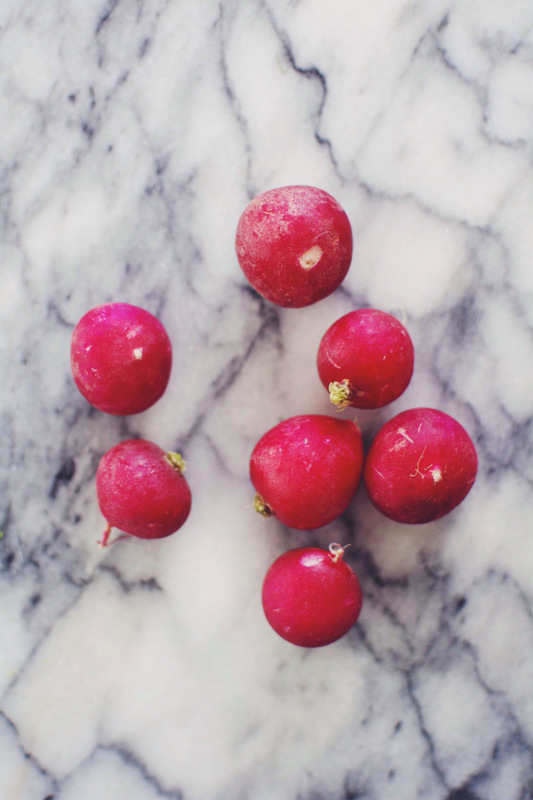 If you don’t have one, then try and slice the fennel and radishes as finely as possible. 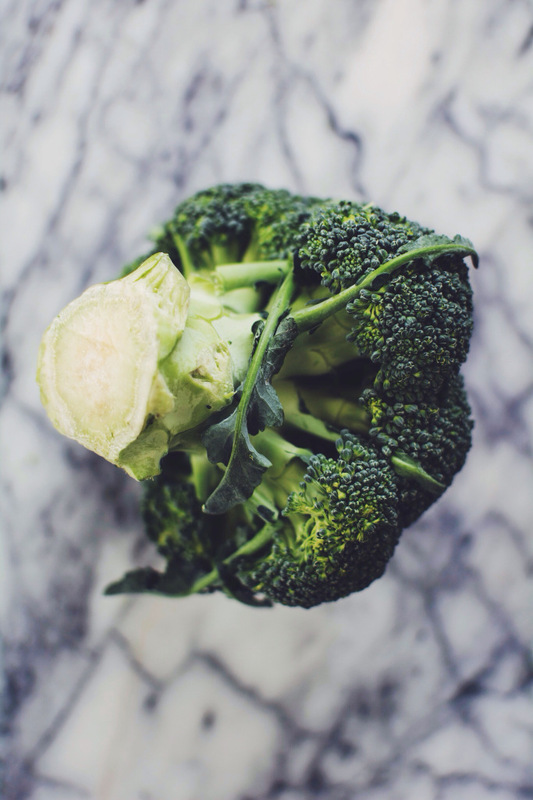 Slice the fennel, radishes and broccoli using a mandolin and place in a large bowl. Add the shredded cavolo nero and tear in the fresh dill leaves. For the dressing add all of the ingredients to a jam jar and shake well until thoroughly mixed and creamy in consistency. Pour the dressing over the salad, toss well to coat. Season to taste with salt flakes and freshly ground black pepper. Serve on its own or in rye (or however you like) with extra fresh dill and a drizzle of extra olive oil.